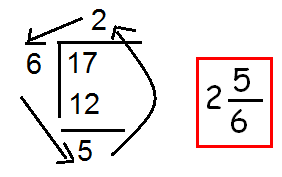 About "Add and subtract fractions"
Whenever we want to add or subtract two or more fractions, first we have to check whether their denominators are same or not. If they have same denominators then we can put one denominator commonly and combine the numerators. If the denominators are not same, then we have to take L.C.M in order to make the denominators same.After making the denominators same, we can combine the numerators. Let us see some example problems to understand the above concept. Since the denominators are not same, we have to take L.C.M in order to make the denominators same. Multiply the numerator and denominator of the first fraction by 2. Multiply the numerator and denominator of the first fraction by 5. Multiply the numerator and denominator of the second fraction by 4. Since it is improper fraction, we have to make it is as mixed fraction. Multiply the numerator and denominator of the first fraction by 7. Multiply the numerator and denominator of the second fraction by 8. 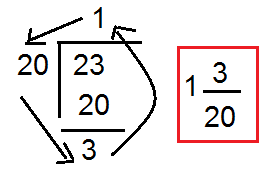 Multiply the numerator and denominator of the first fraction by 3. Multiply the numerator and denominator of the second fraction by 2. After having gone through the stuff given above, we hope that the students would have understood "Add and subtract fractions".